When it comes to lodging, there’s a lot to choose from at Put-in-Bay, and sometimes it can get a little overwhelming. Do you want the standard hotel experience, or would you prefer a vacation rental to feel a little more at home? Do you want to be in the hectic downtown area, or a little off of the beaten path? Whatever it is that you seek, there are enough Put-in-Bay hotels, cottages and vacation rentals to find exactly what you need. 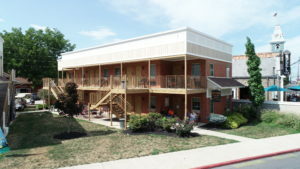 If you’re looking for a Put-in-Bay resort in the center of the downtown area, you should consider the Commodore Resort or the Put-in-Bay Resort. 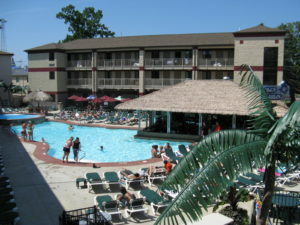 Staying at the Commodore grants you access to MIST Pool Bar, and staying at the Put-in-Bay Resort gets you into Blue Marlin, collectively two of the best of the Put-in-Bay swim up bars. This is something that Put-in-Bay is very well known for, and you’ll definitely want to make a pool bar a part of your trip. At the Commodore, you’ll also be right next door to Mr. Ed’s, one of the island’s most famous hotspots. 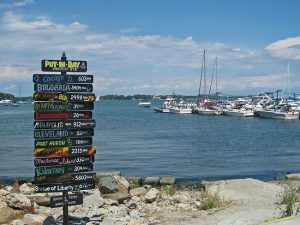 Most vacations to the island involve visiting some of the Put-in-Bay bars and pubs, and one of the best is right on your doorstep! the Victory Station Hotel. This boutique hotel is the perfect spot for a couple to relax and unwind for a weekend. 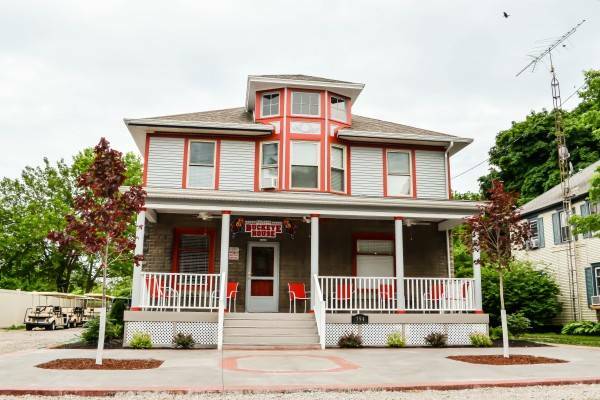 Only a few steps from downtown, next to the Put-in-Bay Golf Cart Depot, you’ll be just a stone’s throw away from all of the dining and shopping on offer on the main strip. However, you’ll also be detached enough that you can have quiet peaceful romantic moments. Put-in-Bay is also a famous group destination, and if you’re bringing a group, it’s time to start looking at vacation rentals. Your Put-in-Bay bachelorette party, bachelor party or family reunion will be so much better with everyone under one roof, and you can make that happen at the Island Club or Put-in-Bay Condos. The Island Club is a Put-in-Bay legend, offering home rentals on the island for decades. If you’re a South Bass Island regular, chances are you stay at the Island Club. There’s a reason they have so many repeat customers. An Island Club rental offers all the amenities of home at a price per person that you just can’t beat at Put-in-Bay. With over 70 properties available, you’ll be able to find the perfect fit for your group. 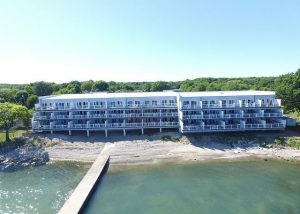 The Put-in-Bay Condos are right up against the water by the Put-in-Bay Airport, providing astonishing views of Lake Erie. The Waterfront Condos are the newest place to stay at Put-in-Bay, and each has its own private patio for you to enjoy the view you richly deserve! This is only scratching the surface of what’s available to you at the Bay. 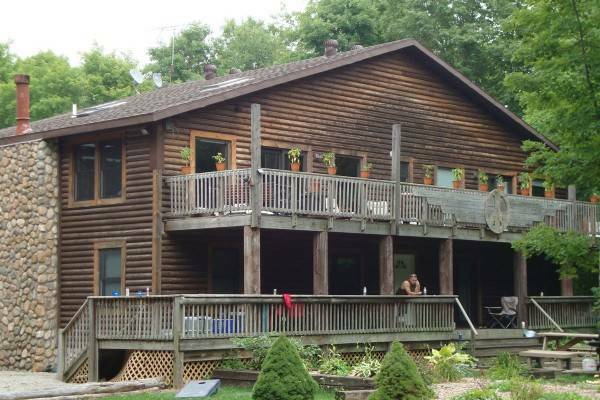 You could also check out places like Bay Lodging or the Put-in-Bay Villas, or smaller individual properties like the All-Star Ohio House or A Place at the Bay. As you can see, there’s a lot to consider. You can’t go wrong with any of the places mentioned above, but there are also some great individual specialty properties to consider. 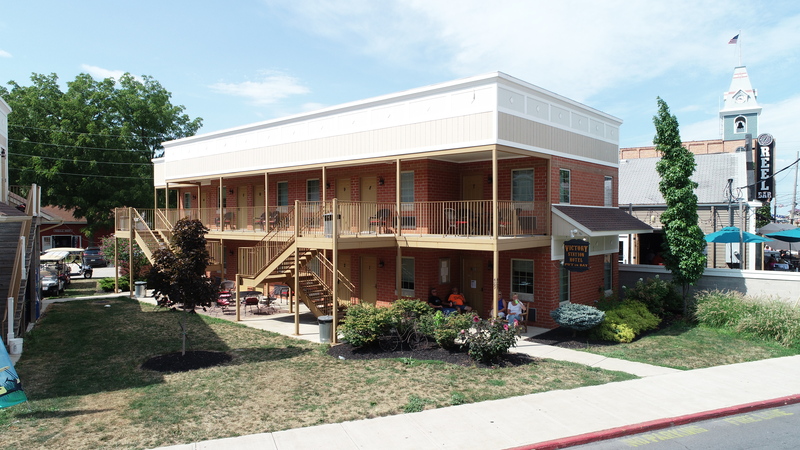 Click on a property above to learn more, and give us a call at 216-898-9951 if you have any questions about an individual accommodation on our site, we are here to help!